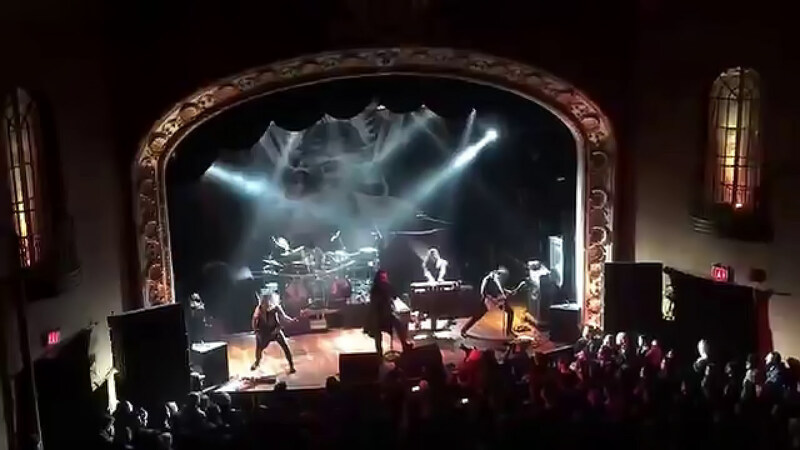 The Opera House is a music venue in Toronto, Canada. 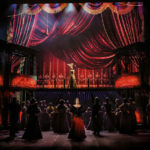 It is one of the city’s most historic performing venues, opening in 1909. It has also been a cinema and a live theatre venue. It is located at 735 Queen Street East, east of downtown in the Riverdale neighbourhood. It opened in 1909 as the La Plaza Theatre, a vaudeville stage. Seating almost 700, it was the main entertainment venue in the primarily working-class neighbourhood. As films eclipsed vaudeville the theatre was turned into a cinema, continuing to use the name La Plaza Theatre until the 1960s, and later under a series of other names. As multiplexes made large single screen venues no longer viable as cinemas, it became a performing arts venue. In the late 1980s it was home to the successful gospel musical Mama, I Want to Sing!. 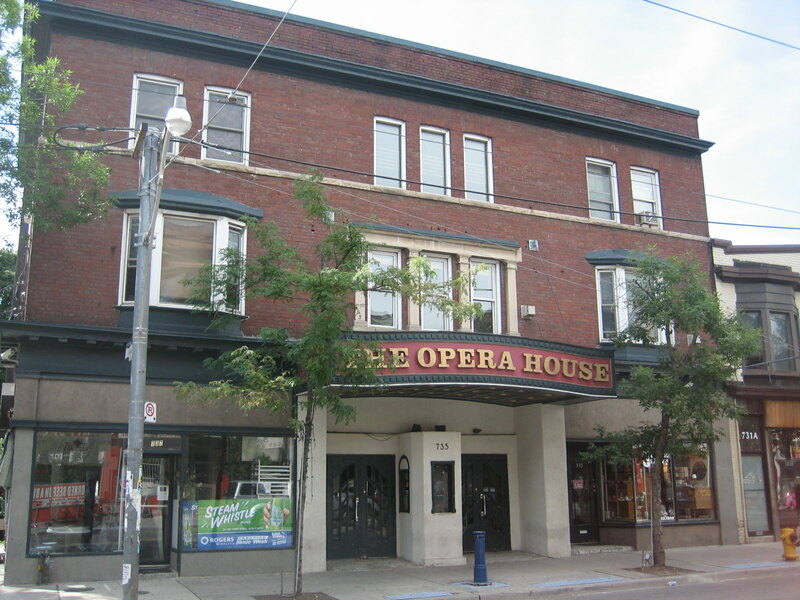 In the early 1990s it became The Opera House music venue.